With the merger exercise of three public sector general insurance companies — National Insurance, United India Insurance and Oriental Insurance going slow, vacancies are piling up. According to rough estimates, in the officers grade alone close to 600-900 posts remain vacant over the last one year. At the clerical and subordinate level, the staff shortage is around 12000, say sources in the companies. The impact is already telling about the financial performance of the companies. Also, at least two companies, National Insurance and United India Insurance, significantly lost their market share. While National lost the market share from 10.78 per cent in December 2017 to 8.63 per cent in December 2018, United India Insurance lost it from 11.02 per cent to 9.27 per cent over the time frame. 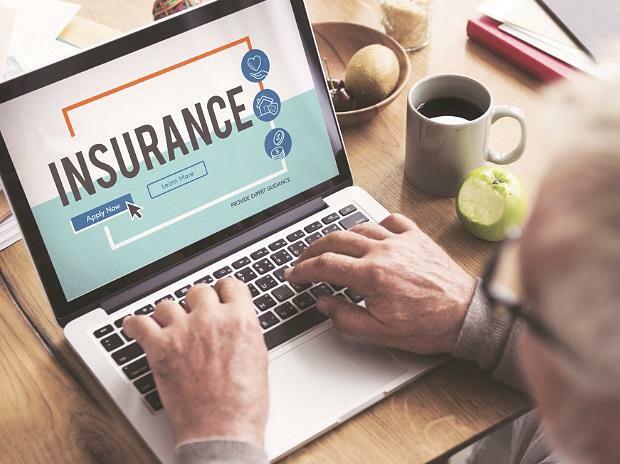 The three insurance companies have posted high losses in Q2 of FY19, as their premium growth came down and provisions rose. Multiple reasons accounted for the losses, including manpower crunch and lack of clarity of merger. “Lack of clarity over merger was a reason that the premium came down. Also, the shortage of manpower was a reason that the business suffered. Further, the companies had to make huge provisions over third party motor losses,” said a senior official at the public sector general insurance sector. Last year the government made amendment in the motor vehicle act, 1998, which stipulated almost ten-fold increase in the minimum compensation for injury or death due to road accidents. According to a senior official at a private sector general insurance firm, while higher provisioning norms apply both private and public sector firms, the private sector firms have been more prudent in selecting the category mix. For example, they remained cautious in exposure to riskier insurances like commercial vehicle insurance. For United India Insurance, loss (before tax, as after tax figures not available) in Q2 of FY19 was Rs 868 crore (against a loss of Rs 36 crore before tax in the corresponding period). For National Insurance the loss was Rs 707 crore in Q2 of FY (against a profit of Rs 90 crore in Q2 of FY18). For Oriental India Insurance, the loss was Rs 240 crore in Q2 of FY 19(against a profit of Rs 200 crore in the same period in FY18). While the government has not put any official freeze on recruitment, since February 2018, there has been no fresh recruitment as the Union Finance Ministry advised the companies to put the new staffing plan on hold till the merger exercise was completed, according to a top official of a public sector general insurance firm. Notably, in the next two to three years, about 25 per cent of work force, especially in the clerical level is expected to retire. Each year, in general, each public sector general insurance firm recruits about 200-300 new staffs at the officers’ level. The recruitment at clerical and subordinate grades are on hold for the last four to five years due to cost-cutting measures. “We will take up the matter of staff crunch with the government,” said a senior official at National Insurance. According to K Govindan, General Secretary, General Insurance Employees All India Association, each of the state-owned general insurance companies need to recruit at least 3000 clerical and subordinate staffs. Hence, at the clerical level the total staff shortage stands at around 12000. In 2007-08, when the total underwritten premium of the four public sector general insurance companies was around Rs 16831 crore, staff strength in grade 3(clerical) and grade 4(subordinate) was around 43654, according to data from General Insurance Employees All India Association. According to Govindan, in 2017-18, while the total underwritten premium rose to Rs 67920 crore, the staff strength in the two categories reduced to nearly 33386. In 2018, ahead of the government announcing its plans to merge the three public sector general insurance companies, National Insurance had planned to recruit about 600 people at the clerical levels. However, the recruitment plan was put on hold due to the merger plan, say sources. As on 31st March 2016, the total staff strength of the four general insurance companies was about 64130, with United India Insurance at 16345, Oriental Insurance at 13923, National Insurance at 15079 and New India Assurance at 18783, according to data available with the Union finance ministry. The fate of the merger of the three general insurance companies also in fire, as it would depend upon the policy stance of the government elected in 2019 general elections, said a senior official of public sector general insurance firm. In February 2018 Budget, the government announced its plan to merge three public sector general insurance firms—United India Insurance, National Insurance and United India Insurance.